The Subud International Cultural Association (SICA) is a nonprofit international service organization working at the intersection of creativity and spirituality to advance and celebrate activities that emerge from the development of one’s innate gifts or talents. SICA provides information, training, networking and support services as well as opportunities to participate in international cultural initiatives and events. ———- SICA is also about building community and collaboration, and valuing one another. Its programs and services broadly embrace creative expression across all fields of human endeavor. We believe the development of each individual’s talent contributes to the development of a human and compassionate culture. And culture, a truly human culture, is what gives life meaning. 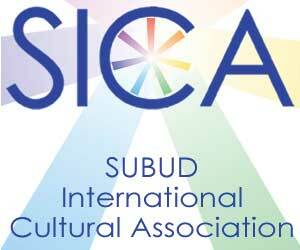 ———- SICA is an affiliate of the World Subud Association, which has members in over 80 countries.